​The law is the law for a reason. Why? If the law is not the law, there is no law, there is only opinion. And opinion, as a substitute for the law, is the dictatorial province of kings and emperors, not a free people. 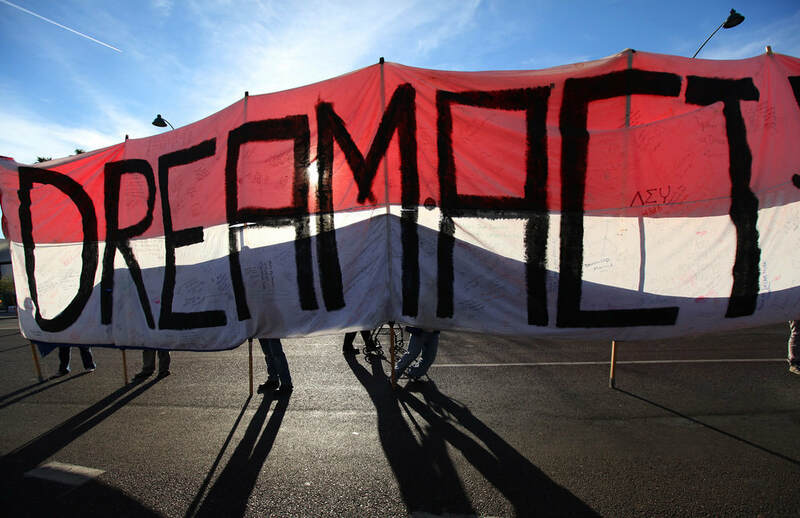 The Dream Act—aka “DACA,” was never intended to be a permanent immigration fix, but was adopted by President Obama with the intention of forcing Congress to do its job. This was when the Democrats held the presidency and a majority in the senate. Prior to 2010, when the democrats held both houses, as well as a near filibuster-proof control of the levers of government, they could have passed just about any immigration law they wanted—if they had really wanted to. Instead, both the Democrats and Republicans did what political parties tend to do, they stalled, trying to make the opposition look bad by taking the political low road, while furiously kicking the can down the boulevard as far as possible. This also allowed President Obama to abdicate his responsibility to actually try and negotiate with the Republicans. I mean, who needs a separation of powers, when you can just make law with the swipe of the legislative pen and bypass Congress altogether, in complete contravention of the Constitution, no less? Not a president, that’s for certain! But a king? Now, you just might be onto something. Both President Obama and Bill Clinton publicly stated—while in office—that mass immigration was unfair to low wage, nominally skilled workers. Which, it is. But labor-intensive, big business could care less. President Obama, especially, emphasized mass immigration’s negative impact on Black youth, who already suffer from a nearly 40% unemployment rate. This was early in his presidency, before he learned who was really in charge. Meanwhile, people marched in the streets for a $15.00 an hour minimum wage, in order to help make ends meet. This led to a cry from politicians to “Expand the minimum wage!” even as these same politicians secretly made backroom deals, raking-in big campaign contributions from open borders advocates who believed exactly the opposite. In reality, most were simply global corporations disguised as benevolent servants of humankind. Was there a contradiction in there somewhere? No! Because there are no contradictions in politics, only excuses, enabling one political party to blame the other, for whatever needs excusing. There were, however, people who genuinely cared about immigrants. But they were a tiny minority. Most of those protesting on behalf of illegal immigrants were actually political activists who saw these “Undocumented Workers” as a potentially new and sustainable voting bloc. If not now, they would be, given time. The rest? They were comprised of the left-wing of the Democratic party, including socialists, communists, radical feminists, and the all inclusive “Hate America First" consortium. Of course, there was also the throng of ill-informed people who just took sides like it was a football game, regardless of what was being said. They're always necessary to fill out the narrative for photo-ops and such. So, here we are, 50 years into the latest attempt to do nothing about mass immigration while appearing to at least do more than the other party. That way, big business is satisfied. The “Hate America First” consortium is satisfied, (for the moment, at least) and celebrities can preen, demonstrating why they’re morally better than you are. You’d think that 50 story mansions and hundreds of millions of dollars would be enough?